After a serious horse riding accident some years ago, Clinical Pilates proved to be an ideal and effective solution for my rehabilitation, and the management of my spinal discomfort. I spent many hours strengthening my body to regain my movement and manage my pain. I have combined this personal experience, with a sound theoretical and practical understanding of the physical and psychological difficulties associated with recovery from injury and postural problems. Following my University studies, I learned how psychological stress manifests itself in the body. I founded Derbyshire Pilates in 1999, incorporating a mind and body approach into my work and found it to have a profound, positive effect on my clients’ wellbeing. BSc (hons) 2:1 in Behavioural Sciences. Graduate of the British Psychological Society. Master in Occupational Psychology researching workplace stress and PostTraumatic Disorder in the Ambulance Service. National accreditation with the Register of Exercise Professionals at level 4, Reg. 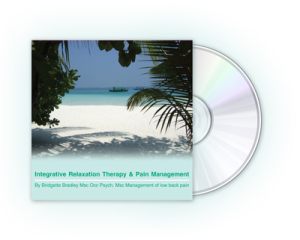 No: R0044133, specialising in rehabilitation methods for low back pain. Advanced Modern Pilates Instructor, (Nationally recognised). Comprehensive Pilates Foundation Apparatus teacher. I have a passion for learning and have spent time working and training alongside physiotherapists for many years. I have trained with Chris Norris Msc, MCSP in the treatment of back pain and lumbar stabilisation techniques. This has enabled me to offer other health professionals rehabilitative exercise for their patients. I deliver workshops on exercise and release techniques for back pain and for postural issues such as neck, shoulder and breathing difficulties. I also offer one-to-one or small group breathing, movement and meditation training to combat stress and anxiety.